Ahh…Spring is in the air. Well not so much in Wisconsin, BUT it will come eventually, right? Even though Mother Nature isn’t cooperating, I have seen the signs with the new spring trends in makeup & fashion. So it’s time to make room for the new. Spring is the perfect time to spring clean your house. Especially when you live in a climate like mine. 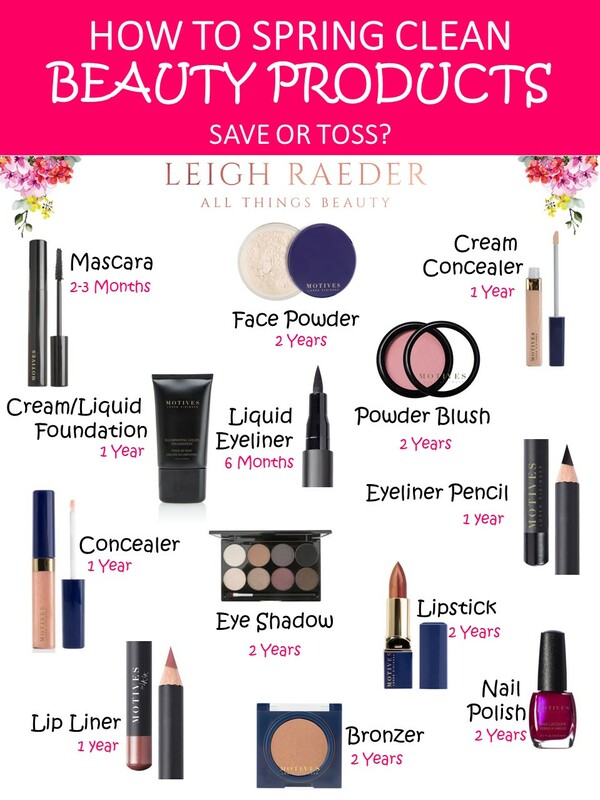 It’s also a perfect time to spring clean your makeup!! Now if you are anything like me, I tend to have a difficult time throwing anything away. But when you are using things on your face, it is very important to keep expiration dates in mind. A product’s “shelf life” generally means the length of time you can expect a product to look and act as expected and to stay safe for use. This length of time varies, depending on the type of product, how it is used, and how it is stored. Some products like skin care actually have an expiration date on it. But what about makeup? How long should you keep different types of cosmetics? *Dipping fingers into a product adds microorganisms, such as bacteria and fungi (mold and yeast), which need to be controlled, for example, by preservatives. *Over time, however, preservatives can break down, allowing bacteria and fungi to grow. *Applicators, especially mascara wands, are exposed to bacteria and fungi each time you use them. *Emulsions, which are mixtures of water and oil, can separate. *Exposure to moisture, such as in a bathroom, may make it easier for bacteria and fungi to grow. *Products can dry out, causing them to harden and crack. *Temperature changes and exposure to sunlight and air can cause changes in color and texture and may cause the products to smell. Some makeup actually has a recommended shelf life too listed right on the package, so be on the look out for this symbol. It has the number of months of the shelf life of the product. It’s suggested that you don’t use this foundation after 12 months. 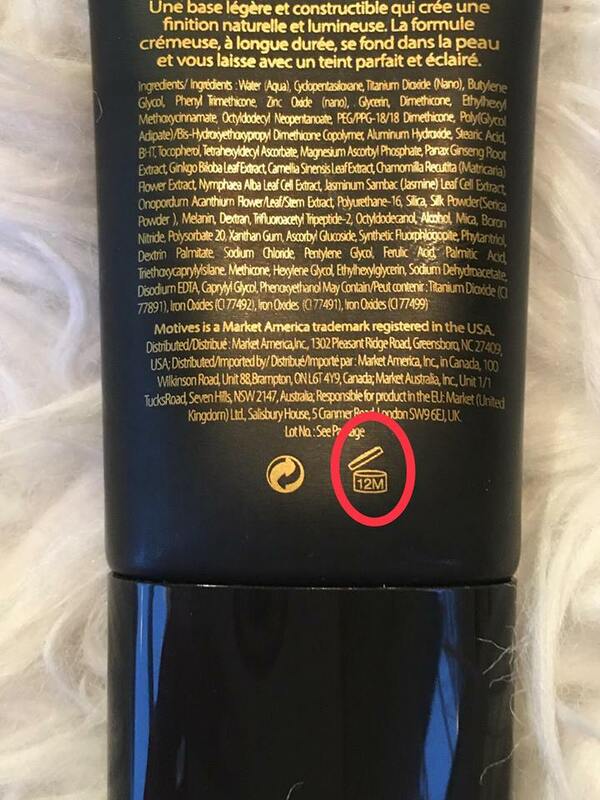 But if it doesn’t have this symbol on your product, then you’ll want to try to either remember the date you opened it, or write it on the product. Cosmetics that you use around your eye are tend to have shorter shelf lives than other products. Bacteria is more likely to grow which may cause eye infections that can be serious. Manufacturers usually recommend discarding mascara two to four months after purchase. That’s because each time a person uses mascara, it’s exposed to bacteria and fungi. What about other cosmetics? How long should you keep them? Remember, this is a guideline only. How long you can use a cosmetic safely also depends on you. *If mascara becomes dry, throw it away. Do not add water or, even worse, saliva to moisten it, because that will introduce bacteria into the product. If you have an eye infection, talk with your health care provider, stop using all eye-area cosmetics, and throw away those you were using when the infection occurred. *Don’t share makeup. You may be sharing an infection. “Testers” at cosmetic counters in stores are even more likely to become contaminated than products in your home. If you feel you must test a cosmetic before you buy it, apply it with a new, unused applicator, such as a fresh cotton swab. *Store cosmetics properly. For example, don’t leave them where they are exposed to heat, such as in a hot car. Heat can make preservatives break down and cause bacteria and fungi to grow faster. *Be wary of products offered for sale in flea markets or re-sold over the Internet. Some may be past their shelf life, already used, diluted, or tampered with in other ways. They may even be counterfeit, “fake” versions of the product you think you’re buying. Now that you threw out your old makeup, don’t stop there! What about those things that may not be expired yet? 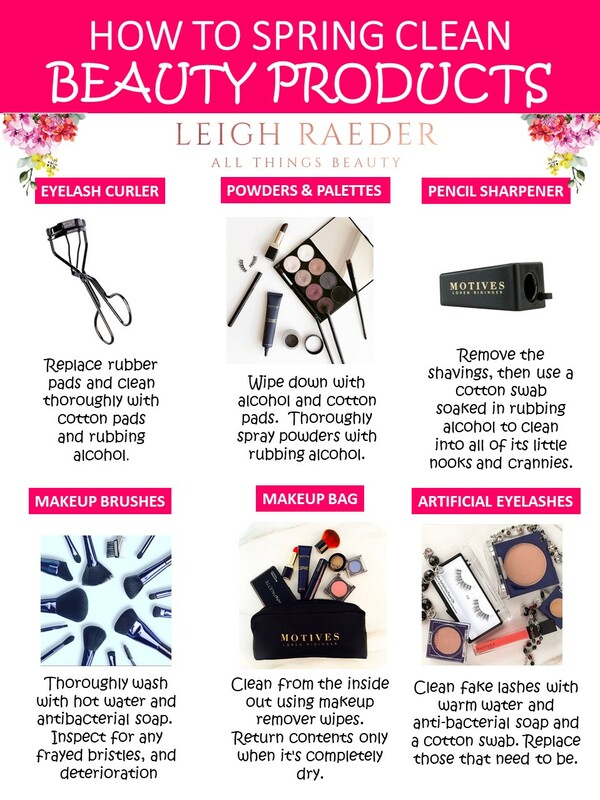 Take this opportunity to spring clean your makeup. And while you’re at it, grab some of your tools that you never think to clean. Here are some guides to help you along the way. Congratulations!! You did it! Don’t you feel so much better now? Time for some new products 😉 You deserve it! To reward you for all of your hard work, I have a 20% OFF coupon code just for you. Just fill out this form to redeem it! 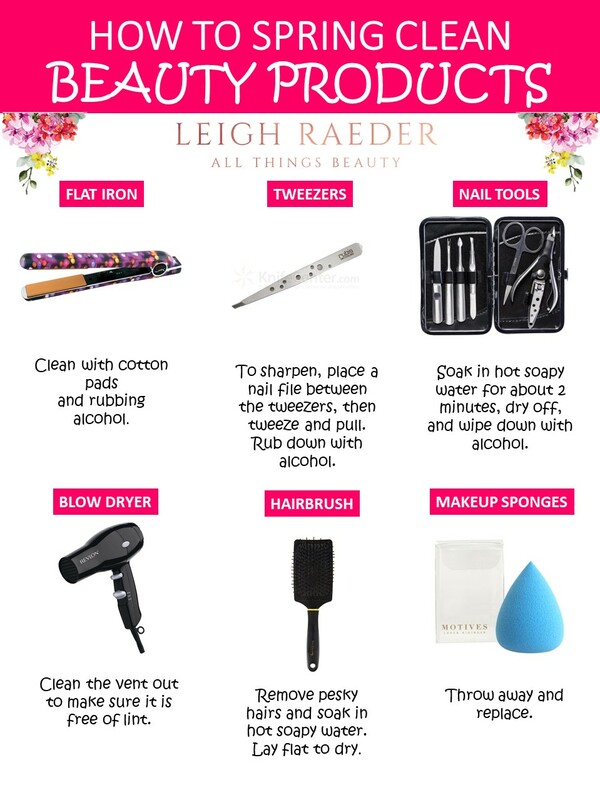 These were great tips Leigh. Yo always share such great information. I look forward to your posts. Thanks.